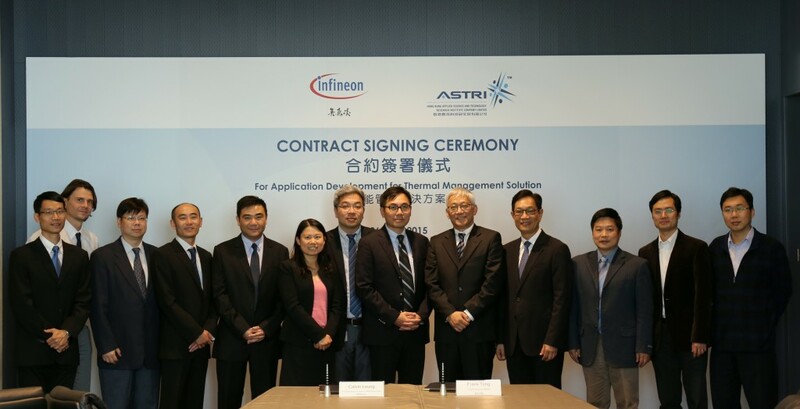 [Hong Kong, 26 November 2015] Hong Kong Applied Science and Technology Research Institute Company Limited (ASTRI) and Infineon Technologies Hong Kong Limited (Infineon) announced jointly today their signing of a contract service (agreement) in “System Thermal Management Solutions for High Power Module”. 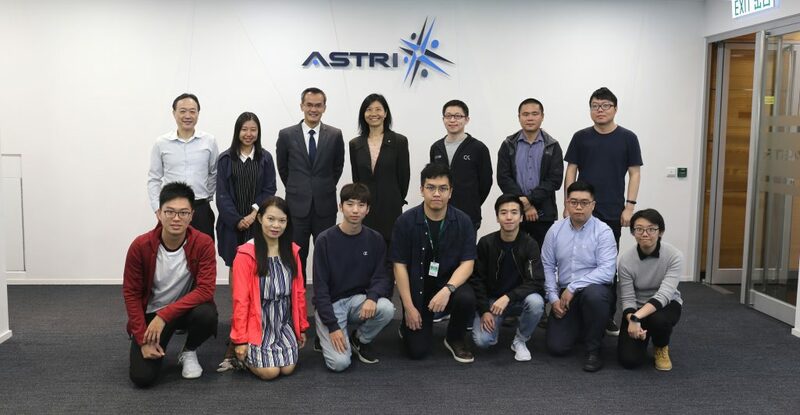 ASTRI and Infineon will develop thermal management solutions for high power density applications tailored to the local requirements of the Chinese Mainland and Hong Kong markets. The strategic collaboration will initially leverage on the research, design, package and testing R&D capabilities in ASTRI, and the product to system know-how of Infineon to develop effective thermal management solutions supporting applications across different industries, such as telecommunications, Low-voltage motor drive, energy storage system and solar conversion. 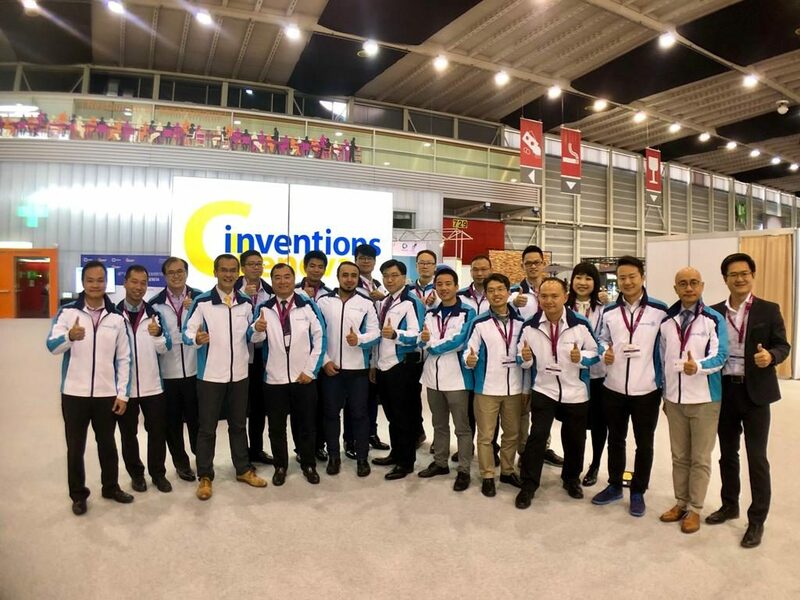 The collaboration aims to provide a one-stop solution and shorter time to market to customers in the telecom and motor drive industries. 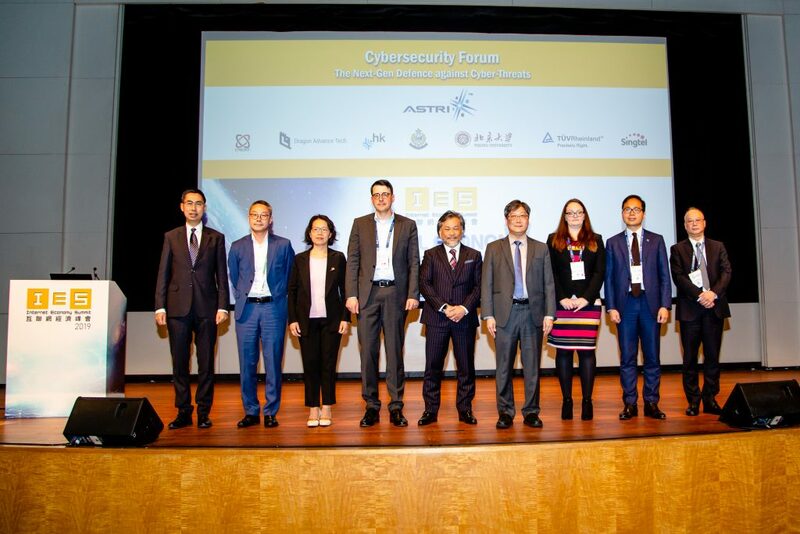 The agreement was signed by Dr. Frank Tong, Chief Executive Officer of ASTRI, and Mr. Calvin Leung, Managing Director of Infineon Technologies Hong Kong Limited. The global power semiconductor market will reach a total market value of just under €15.6 billion in 2018, according to IHS Technology – Power Semiconductor Discretes and Modules Report 2014. Major growth is expected in power discretes for cellular Infrastructure and cellular headset with a five-year compound annual growth rate (CAGR) of 9.9 percent expected. 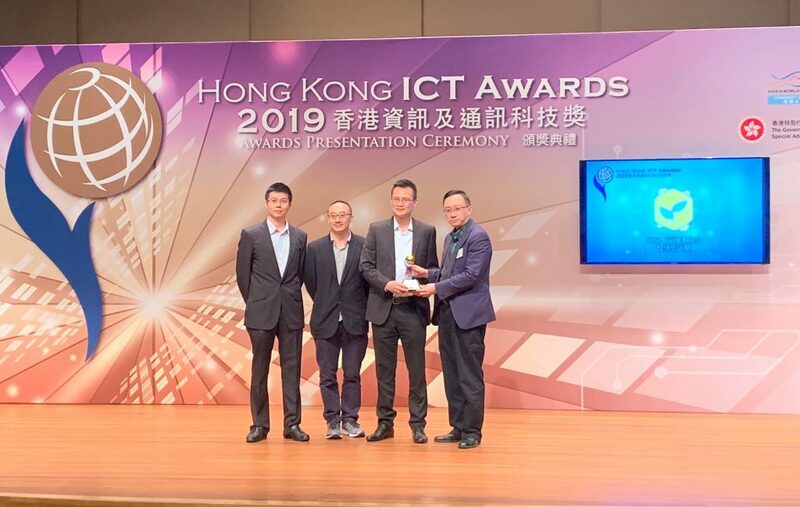 The agreement is an initial attempt by ASTRI and Infineon to consolidate efforts and utilize the strengths of both parties to develop thermal management solutions for high power density applications especially for the mainland and Hong Kong markets. The partnership has the potential of further expanding into other power management and multi-market products and solutions in the future. Senior management of ASTRI and Infineon attend and witness the Agreement Signing Ceremony. 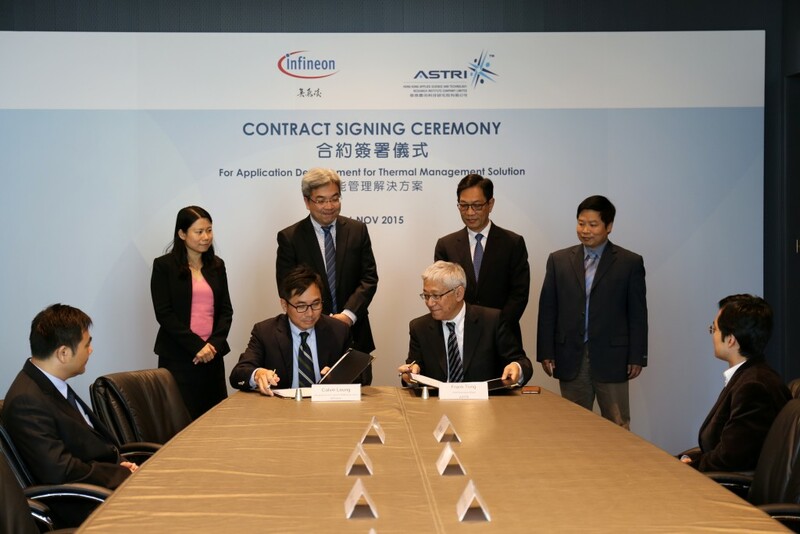 Mr. Calvin Leung, Managing Director of Infineon Technologies Hong Kong Limited (front left), and Dr. Frank Tong, Chief Executive Officer of ASTRI (front right), signing the agreement.